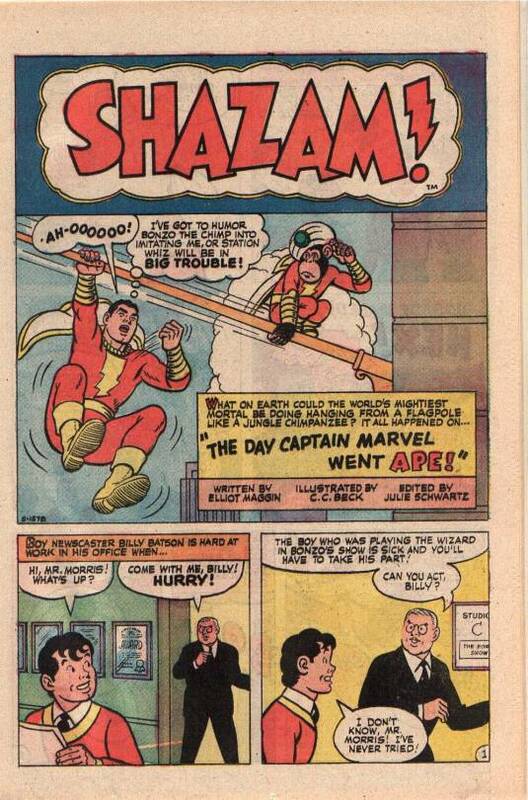 So in that same 3-Bag with FLASH #225 was SHAZAM #9, one of the two books I was forced to give to my younger brother, and which he handily destroyed shortly thereafter. But I did get to read it even though it wasn’t mine, so let me share a few impressions. 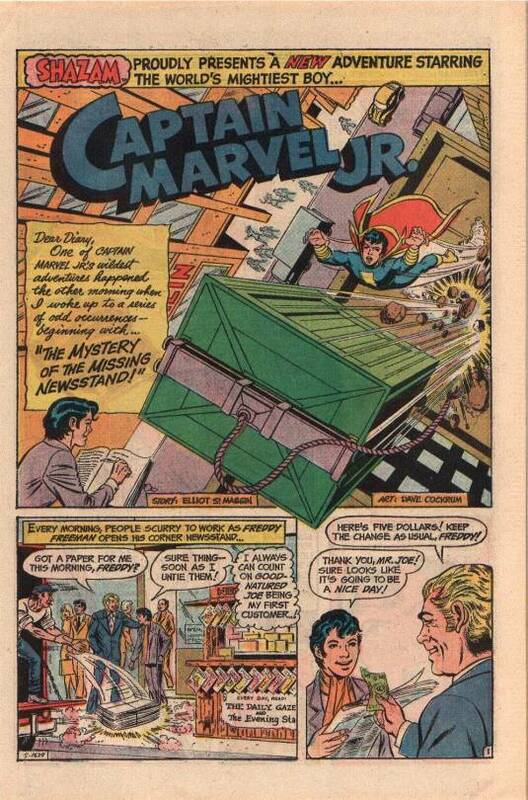 As opposed to the reprint stories in that Treasury Edition, these tales of Captain Marvel were simple and dopey and really pretty dumb. It seems like, somehow, the creators of the 1970s couldn’t distinguish between the fairy tale-like whimsy of the originals and the childish stupidity of what they were generating in attempting to duplicate it. Even C.C. Beck’s art was simpler and more empty than it had ever been. Whether this was because he was having to work at a smaller size, or that he has rusty and out of practice not having really drawn comics for two decades, the effect was coloring book-like. 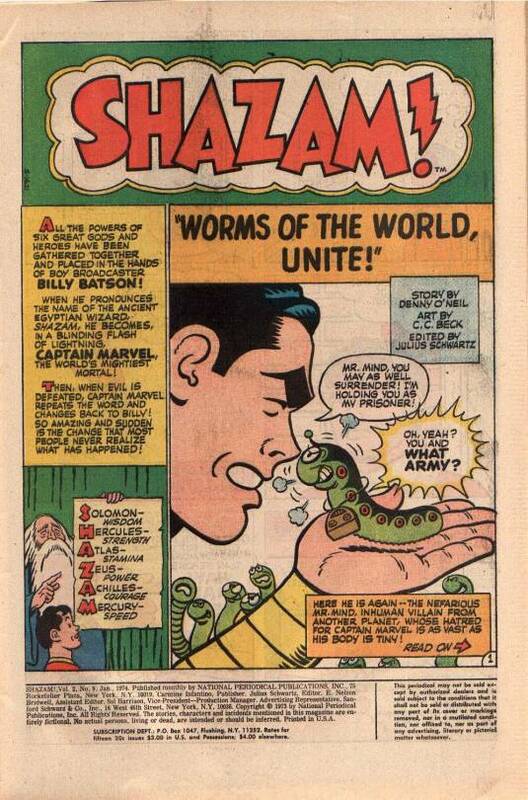 The Captain Marvel Jr. story in this issue, though, is actually quite good, and has been reprinted a couple of times. It showcases artist Dave Cockrum channeling (and paying fannish homage to) original Junior artist Mac Raboy. But ti was only 5 pages long. 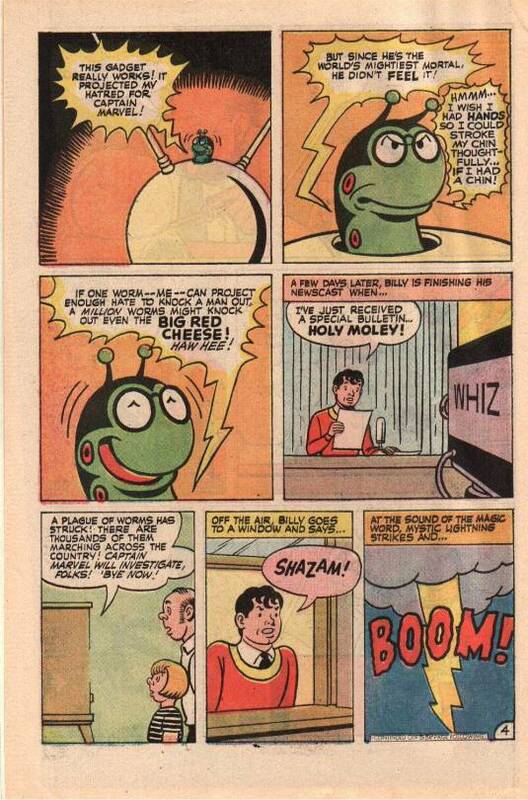 Editor Julie Schwartz seemed to think that Captain Marvel appealed to a younger audience than what he typically did, and somehow wound up “writing down” to them, which is really what made the whole enterprise fail. If they’d simply treated Captain Marvel like any other Schwartz super hero series of the era, it might have been more likely to succeed.